Christabelle Borg was born in 1992, in Malta. She is currently in Portugal representing her country in the Eurovision Music Festival, with her song “Taboo”. While writting this song, the goal of the singer was to break the taboo of mental health stigma, which is something she takes very personally – as the singer has stated multiple times before, she suffered from mental illness in the past. This song has led to a national discussion on mental health in Malta, and the singer was nominated the ambassador of the Maltese President’s Foundation for the Wellbeing of Society for Mental Health. Her role within the Foundation is to raise awareness about the reality of living with mental illness, while supporting local charities. No one should be discriminated against of persecuted for loving another human being. 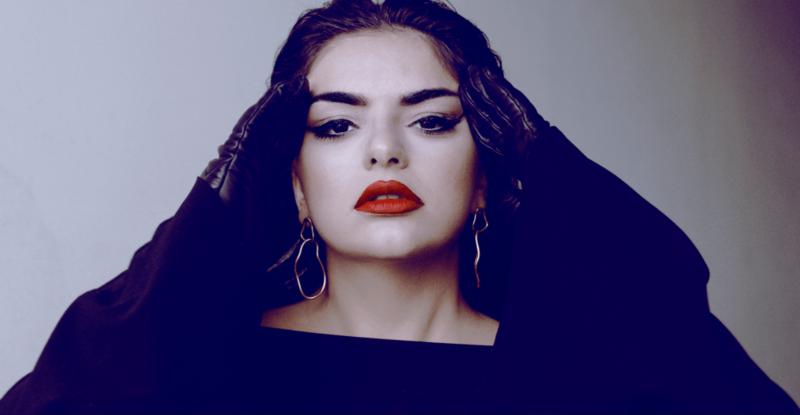 The maltese singer is also the co-director and financial controller of a construction company in Malta, and a supporter of Maltese fashion designers. Since Christabelle’s song brings up the importance of breaking the walls around Mental Health, the singer was in NOVA Medical School on 8th May, to attend the event “Against Mental Illness Stigma”, organized by the Lisbon Institute of Global Mental Health, the Portuguese Ministry of Health and NOVA Medical School. In this event, there was an open discussion about Mental Illness, the stigma associated with it, and also about the importance of awareness campains regarding this topic. The maltese singer discussed these ideas with José Miguel Caldas de Almeida, MD. PhD, Director of the Lisbon Institute of Global Mental Health and Coordinator of the EU Joint Action on Mental Health and Wellbeing between 2013 and 2016, and Paula Domingos of the Ministry of Health’s National Program for Mental Health. FRONTAL magazine was present in this event and had the oportunity to interview the maltese singer. What drove you to write about mental health stigma? This is a very personal song for me. I had some rough experiences, and it took me a while to realize I needed help. When I finally realized that I needed to seek help, I did, and I got a lot better. What do you hope will be the effects of your performance at eurovision? The whole idea behind it is to break the taboo of mental illness – I wish that the world doesn’t speak about the mental illness as an awful disease but rather as a normal illness, like the others. That is why I want to break the taboo, and I want that the people that haven’t yet recognized that they have problems, or that are too ashamed to talk about them, to speak up, and talk about them to professionals. How far do you think we are towards accepting everyone with a mental health diagnosis? I don’t think that we have got there yet. People are still ashamed and I think that there are some people that are still in denial. There is a long way ahead, but I think that we are towards the right direction. People suffering from Mental Illness have, first of all, to face the impact of the disease in their lives, while managing the stress created by rejection and non-acceptance by both themselves and society. Evidence shows that mental health professionals are also likely to express stigma towards their patients. In order to enhace positive attitudes and the reduction of stigma, the inclusion of a practical component – a clerkship- in the curriculum of mental health-related studies – medicine, nursing, and others – seems to be crucial. In 2018, Miguel Xavier, MD, PhD in association with other researchers evaluated the precise effect size of the influence of clerkship on stigma and the potential moderators, and their study concluded that there’s a very significant effect on the reduction of students’ stigma of mental illness, regarding to behavioural intentions and attitudes. The study emphasized the importance of experimental learning as a necessary agent for the battle against stigma, as a hands-on approach in real-time situations. Artigo anteriorA Nova Matriz da PNA 2019: Tudo o Que Deves Saber!